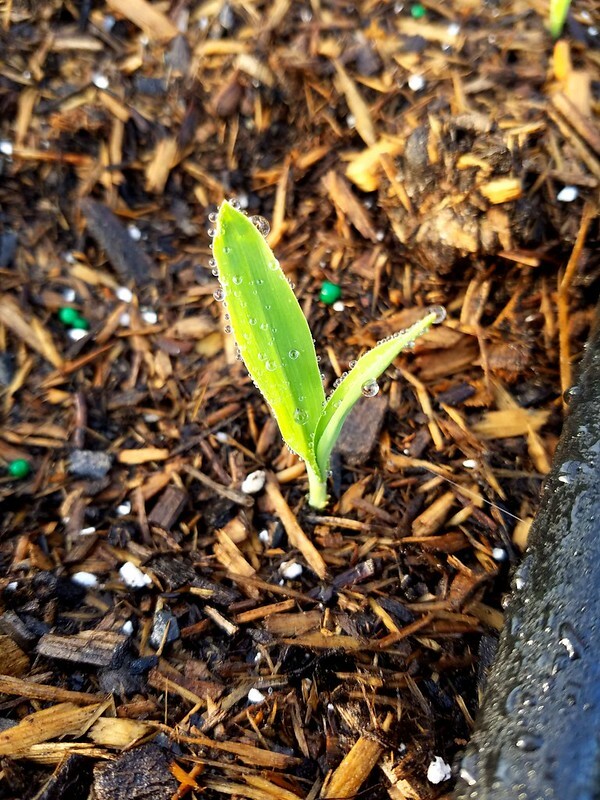 Here’s the corn 12 days old. Here’s the corn 26 days old. Here’s the corn 60 days old. And finally, 89 days old! (Hanging out with their friend Mr. Sunflower). Ok, ok… pick it already! Plant seeds directly in the ground. Corn is not a vegetable that likes to start indoors and be transplanted. Space the corn about 8 inches apart when planting. Corn is wind pollinated, so growing them together is important for pollination. Corn likes soil that is at least 60 degrees for germination. It loves full sun. 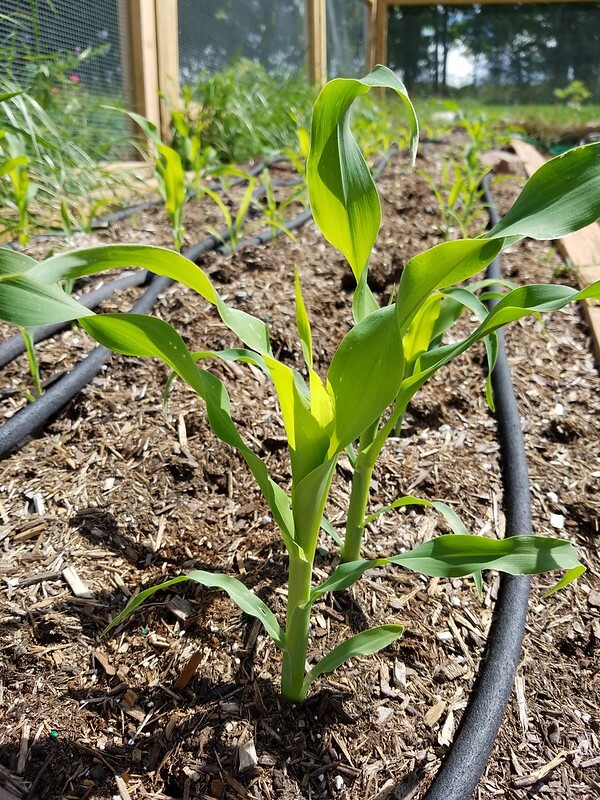 Corn is a big plant so it’s no surprise it needs good watering. Corn has shallow (but very strong!) roots so it can go into panic mode if it doesn’t get enough water. Soaker hoses work great in corn beds. Careful watering is most important in the early stages to get your corn off to the right start. Once established you don’t have to babysit it too much with watering, just keep a eye out. Once our corn is about knee high we pretty much just rely on the rain (seriously!) to water it. Read the seed packet for how many days to maturity, but don’t be surprised if your corn is a few weeks off. The best way to tell when it’s ready is when the silks are brown. You can also gently peel some of the husk down to see what the corn looks like. If it’s filled with corn, and is the right color, then it’s ready. We grow bicolor yellow/white corn and it starts white first before turning yellow. If we peel the husk down and the corn is all white, then we’ll dress him back up and give them another week. 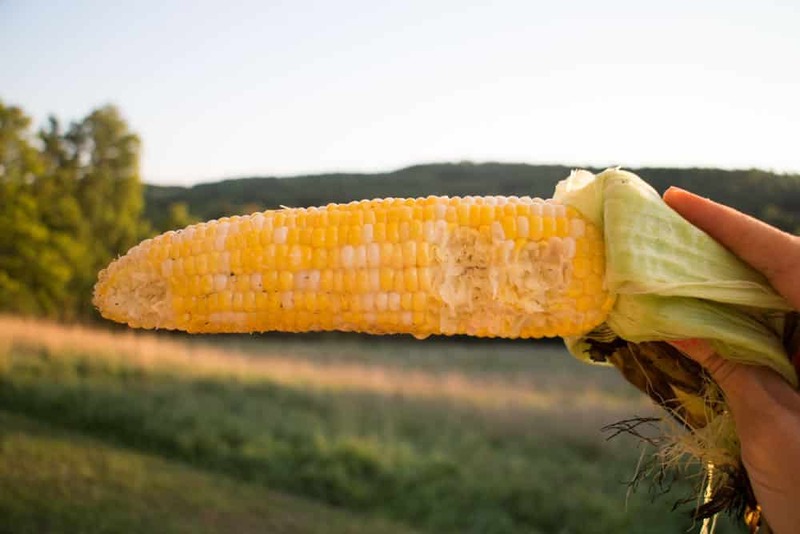 To remove ears of corn off the plant, hold the corn stalk with one hand while the other pulls the ear away from the stalk. Twist it gently and you should hear it crack off the stalk. 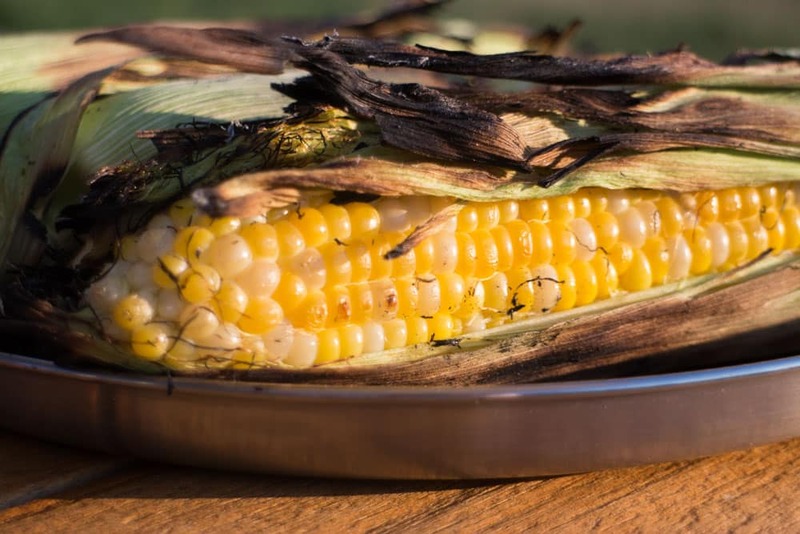 Refrigerate corn as soon as you pick it to keep it fresh and sweet. It stays fresh this way for about 10 days. 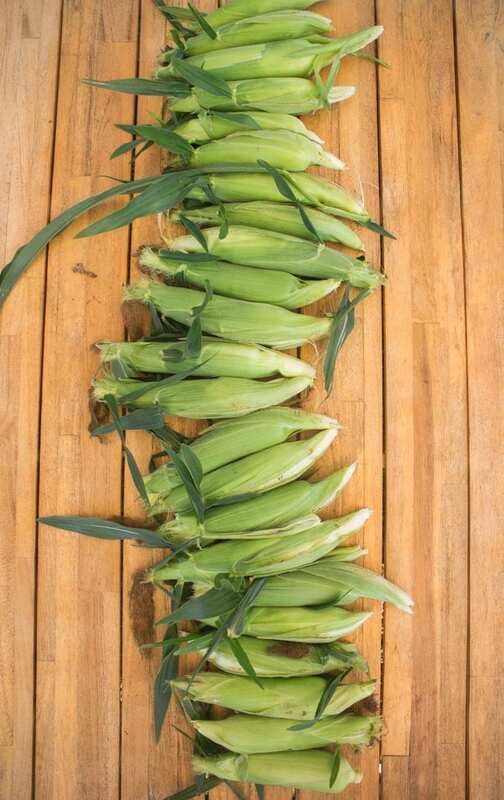 For any corn leftover, use a knife to cut the corn off the cob and then freeze corn kernels. 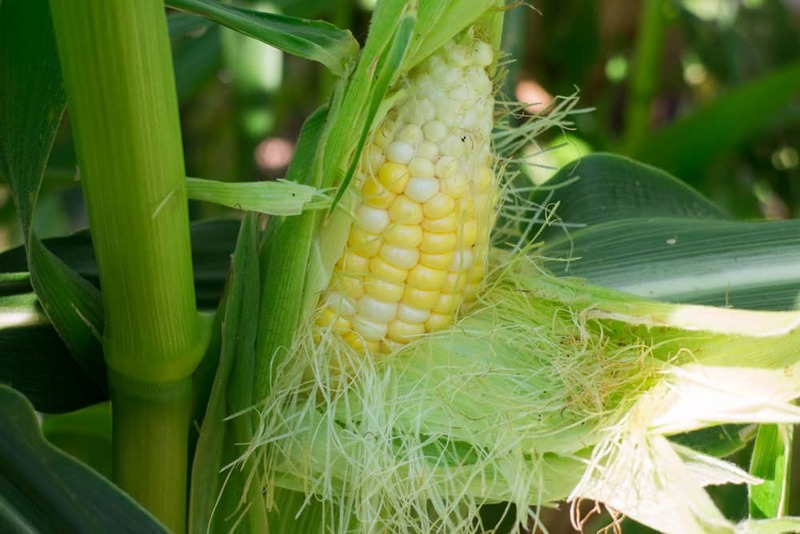 If you spot a ear worm in your corn after you pick it, don’t freak out. Just cut that piece of corn off. Just think that your corn was so tasty the worm wanted a bite. Deer and raccoons love corn. There’s lots of sprays and fences on the market to try to keep animals away from corn. I have a hate/hate relationship with electric fences, but you do whatever you think is best. In our case we just built a boss fence so animals can’t get into the garden. 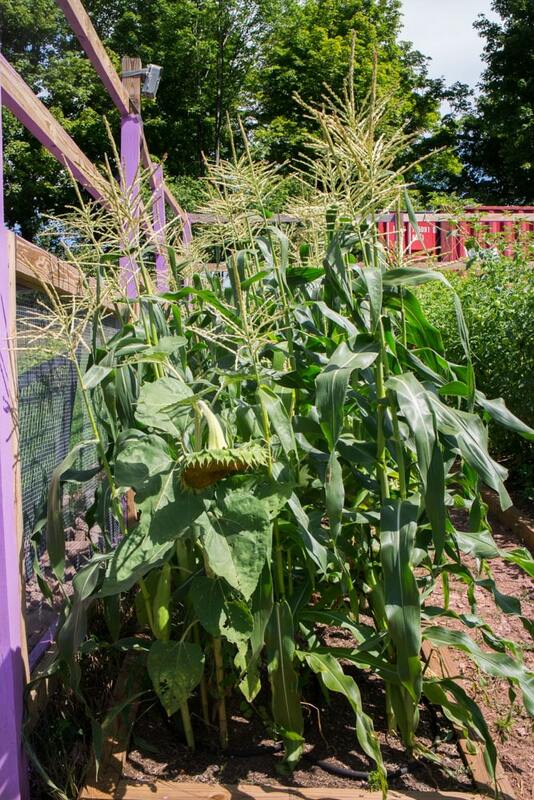 If birds are eating your corn, consider placing bird netting on top of corn. 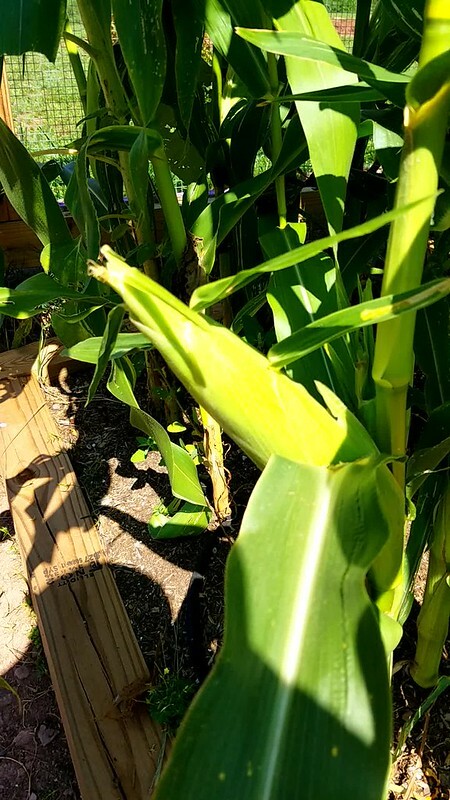 Once ears of corn appear, put paper bags on top of them keeping birds out. 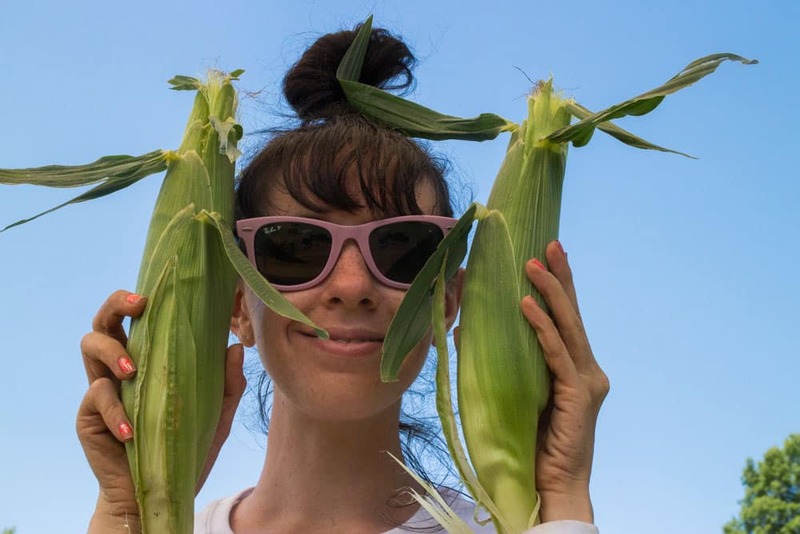 This weekend we picked 23 ears of corn, but who’s counting? (I am!). 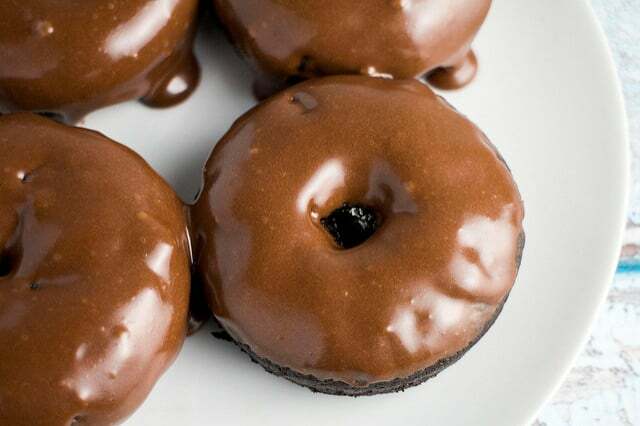 We saved some for next weekend that needed a little more time. And the corn is big! Yes, I measured it! Don’t lie, you would too. So that makes a happy ending to the corn this season. I’m not sure if we’ll change anything next year as it did so well this year. Now I have to go.. 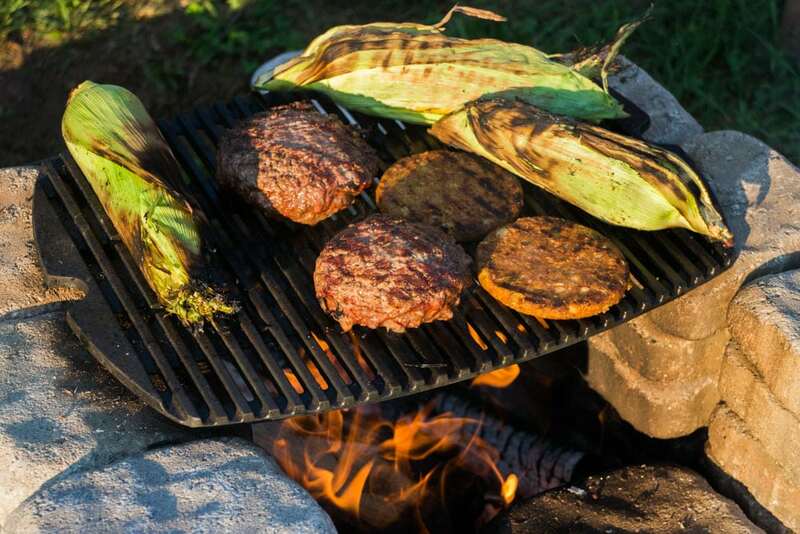 I have grilled corn on the cob to eat! And I have to tell you that this is the most delicious corn ever! Homegrown corn is always the best! Tell me in the comments if you grow corn, I want to hear all about it! Looking for corn recipes? Check out how to make corn nuts! You are simply amazing, Pamela! Congrats on your corn crop! Not the easiest thing to grow, and you really do need space for it. So neat to be able to gobble down freshly picked corn! Fun read — thanks. Sadly all our corn got eaten by slugs, but we are going corn picking next week and I can’t wait! We didn’t have room in our Maine vegetable garden for corn and in New Hampshire we had too many deer because of the apple orchard. The farmers in New England used to say, “knee high by the 4th of July” and that was about right in the corn fields there. 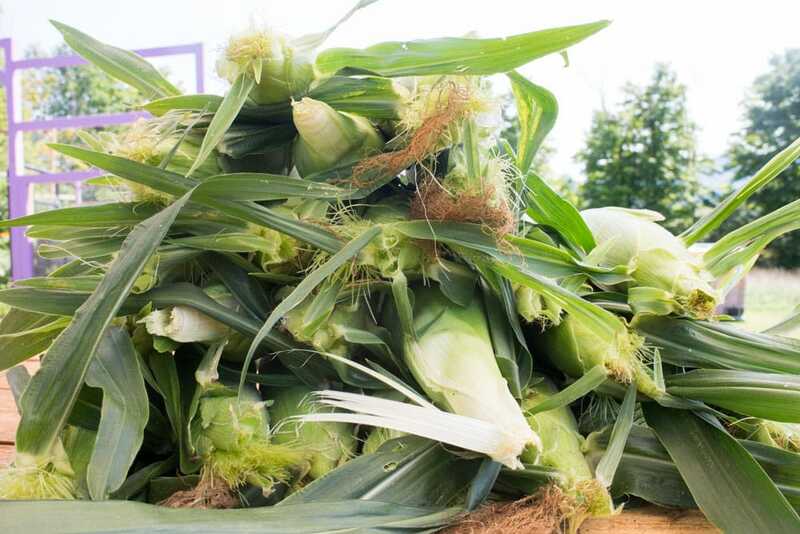 We couldn’t buy corn from the farm stands until the end of August. Your entire garden has done so well, I’m very happy for you both. You have worked hard and it has certainly paid off. Wow, incredible post. So informative. Now I know how corn look like in each of its growing stage. Happy to see this post. Thanks for sharing and have a nice weekend, Pamela. 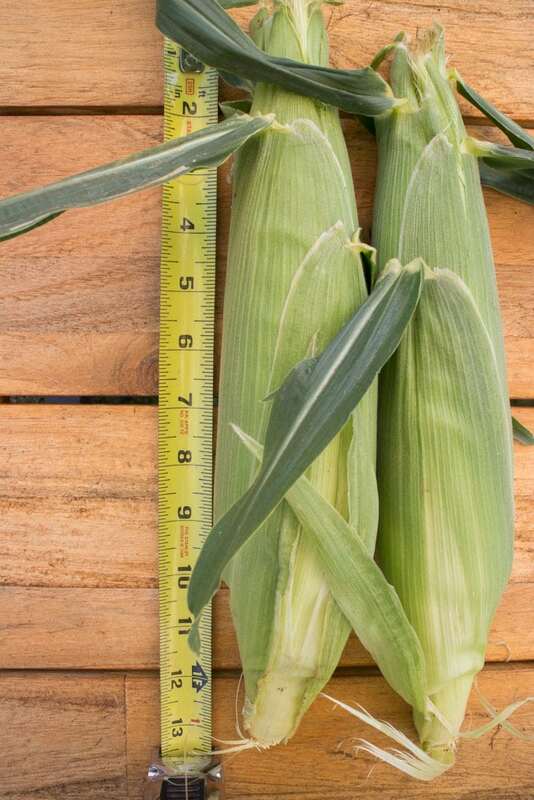 We raise an acre of sweet corn to sell here at our farm. That’s the only fresh produce we sell and it is very popular. A couple of things to be careful of: plant it as early as you can because of the way it pollinates. You see, it can pollinate with the farmer’s field corn nearby!!! If it does, it will taste a lot different than good sweet corn. We are in central IL and try to plant mid April, and we usually sell mid to late July. Another thing: watering. Don’t water frequently. Corn needs to have deep roots to stand well, and those roots grow deeper when they are needing water. Sometimes standing well, tho, is a direct result of planting the seed deep enough too. And corn is a big feeder, but your corn looks very healthy so you must have good well fertilized ground. Keep up the good work!!! Hey Ginnie, thanks for stopping by. 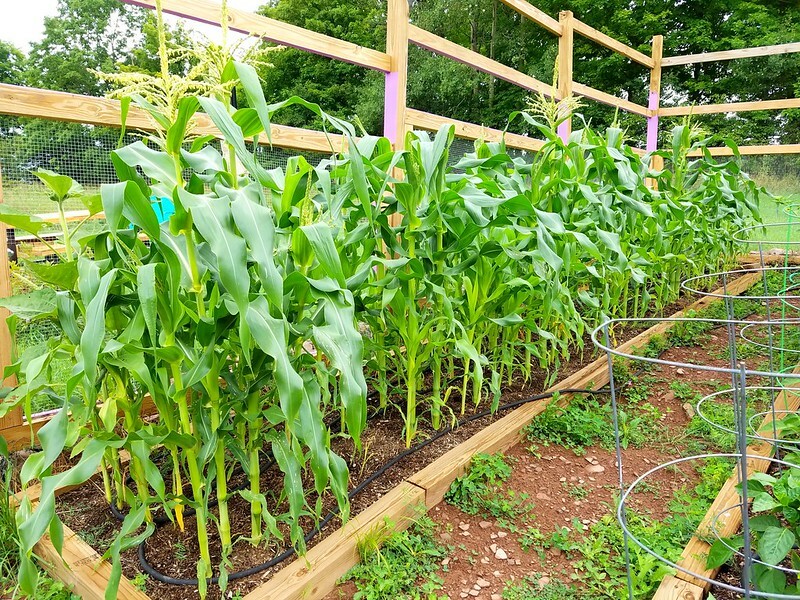 A acre of sweet corn – wow, what a beautiful sight that has to be! I agree about the water, once the corn is about knee high we pretty much rely just on the rain to water it! I wish we could grow earlier but we are high up in the mountains (I’m thinking you are in Zone 6?)! Thanks for all the tips! Enjoy your corn! It’s November of 2018 and we just moved into a new house. I’m very determined to have a vegetable garden this year as I have always been raised to have one but new environments present new problems. My neighbor has a giant yard light on the pole that sits directly between our backyards as well as one in the front near our street. The red lighting covers every inch of my property and I was just wondering will the lighting have any kind of effect on my corn, tomatoes, cucumbers, and speckled beans? The spot where I plan on putting my rows will be roughly 50 to 60 ft away from the source of light. Any feedback will be much appreciated thanks. Hey Edward, I can’t imagine the light having any affect. The sun should easily cancel out the light during the day. Good luck with your garden!